I get error “Error code -1073741795 - (null)", MSVCD100.dll or similar error message! 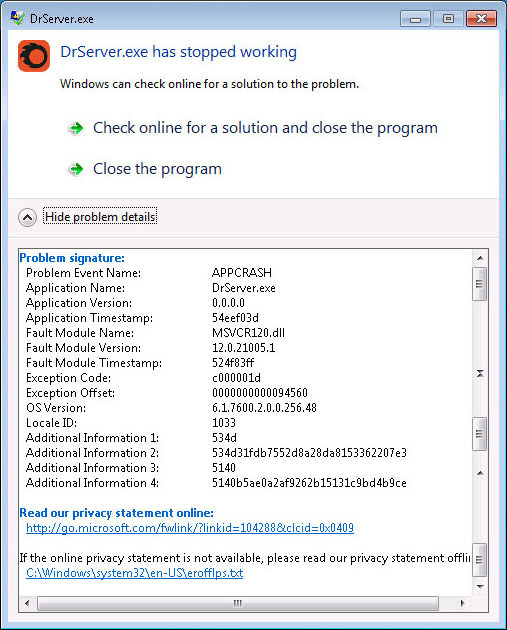 The most common solution for this problem is installing Service Pack 1 for Windows7. Corona Renderer uses the latest AVX2 instructions which are in the newer processors (e.g. i7-3xxx or i7-4xxx) but there was a bug in these Intel CPUs causing Corona to crash. The bug was subsequently fixed with a microcode update. The fix is available in Windows Update, so you should be able to resolve the problem just by installing the latest Windows updates. If you were not installing updates previously, you will need to install all available updates, restart the computer, and repeat the cycle several times. Each time after restart, you will see new updates. Install it, restart your PC and then check if there are any new Windows updates available on the list.